Every now and then I find myself lost in time as I look through old pictures of my son. Where did the time go and how did he get so big, so fast? Holidays are one of the best times to reminisce for me because we have some family traditions that are fun to see in pictures. During the month of October we visit Disneyland and pumpkin patches. 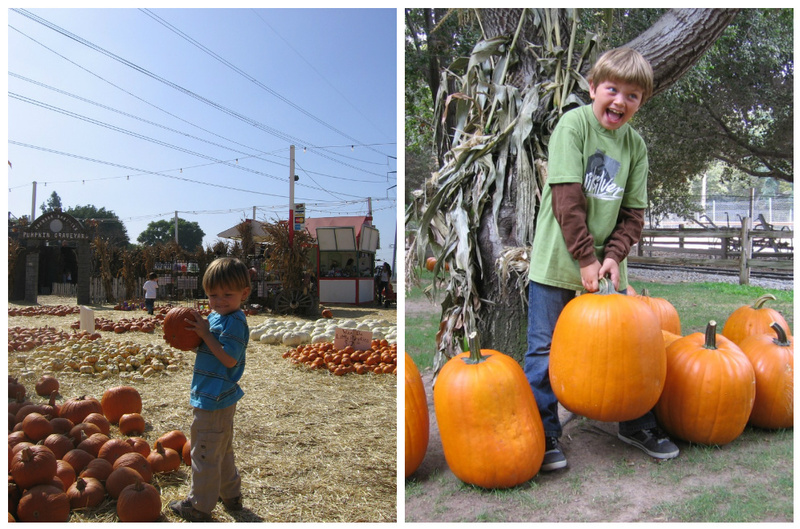 And on Halloween we always take a picture of Dylan in front of the pumpkin statue at Grandma's house. It's fun to see how he has grown. 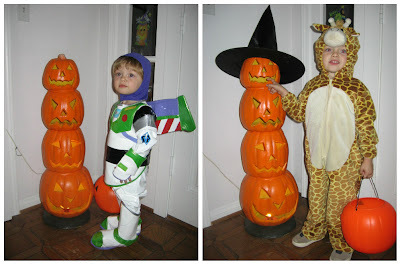 We also have many family Halloween traditions that we do at home. Decorating, baking, making crafts, and of course carving a pumpkin! 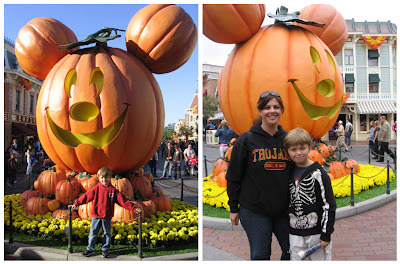 Be sure to read about our family traditions over at OC Moms in my recent article and leave a comment after the article sharing your family Halloween traditions! He's such a cutie. Okay were you crying? Just asking, because if I did a post like this, I'd be crying! Happy Halloween!